1998-2004 PhD, The Rockefeller University. Morphogenetic Movements during the Xenopus Gastrulation and Development of Biocompatible Quantum Dots. Εργαστήριο Μοριακής Εμβρυολογίας και Κυτταρικής Βιολογίας. Ο στόχος της ερευνητικής μας ομάδας είναι να κατανοήσουμε τους μοριακούς και κυτταρικούς μηχανισμούς οι οποίοι είναι υπεύθυνοι για την δημιουργία της τρισδιάστατης δομής των ιστών και τον σχηματισμό του σχεδίου του σώματος των σπονδυλωτών. Ταυτόχρονα το εργαστήριο μας με τις εφαρμογές νανοτεχνολογίας και συγκεκριμένα με την χρήση νανοκρυστάλλων (Quantum Dots) αναπτύσσει νέες μεθόδους απεικόνισης που επιτρέπουν τη μελέτη της μορφογένεσης στο οργανισμικό, κυτταρικό και μοριακό επίπεδο. Antoniades I, Stylianou P, Christodoulou N, Skourides PA., Addressing the Functional Determinants of FAK during Ciliogenesis in Multiciliated Cells. J Biol Chem. 2017 Jan 13;292(2):488-504. Petridou NI, Skourides PA. A ligand-independent integrin β1 mechanosensory complex guides spindle orientation. Nat Commun. 2016 Mar 8;7:10899. Christodoulou N, Skourides PA. Cell-Autonomous Ca(2+) Flashes Elicit Pulsed Contractions of an Apical Actin Network to Drive Apical Constriction during Neural Tube Closure. Petridou NI, Skourides PA. FAK transduces extracellular forces that orient the mitotic spindle and control tissue morphogenesis. Nat Commun. 2014 Oct 24;5:5240. 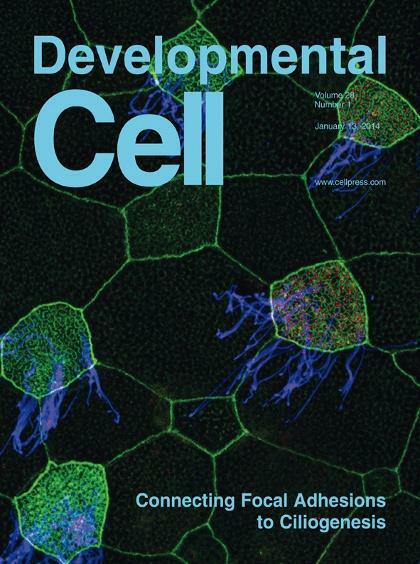 Antoniades I, Stylianou P, Skourides PA, Making the connection: ciliary adhesion complexes anchor Basal bodies to the actin cytoskeleton. Zanardelli S, Christodoulou N, Skourides PA.Calpain2 protease: A new member of the Wnt/Ca2+ pathway modulating convergent extension movements in Xenopus. Dev Biol. 2013 Sep 26. Petridou NI, Stylianou P, Skourides PA. A dominant-negative provides new insights into FAK regulation and function in early embryonic morphogenesis. Ioannou A, Santama N, Skourides PA.Xenopus laevis nucleotide binding protein 1 (xNubp1) is important for convergent extension movements and controls ciliogenesis via regulation of the actin cytoskeleton. Dev Biol. 2013 Aug 15;380(2):243-58. Petridou NI, Stylianou P, Christodoulou N, Rhoads D, Guan JL, Skourides PA.Activation of endogenous FAK via expression of its amino terminal domain in Xenopus embryos. PLoS One. 2012;7(8):e42577. Charalambous A, Antoniades I, Christodoulou N, Skourides PA. (2011) Split-Inteins for Simultaneous, Site-Specific Conjugation of Quantum Dots to Multiple Protein Targets In vivo. J Nanobiotechnology Sep 15;9(1):37. Charalambous A, Andreou M, Skourides PA.Intein-mediated site-specific conjugation of Quantum Dots to proteins in vivo. J Nanobiotechnology. 2009 Dec 10;7:9. Stylianou P, Skourides PA.Imaging morphogenesis, in Xenopus with Quantum Dot nanocrystals. Mech Dev. 2009 Jul 30. Yan CY, Skourides P, Chang C, Brivanlou A.Samba, a Xenopus hnRNP expressed in neural and neural crest tissues. Dev Dyn. 2009 Jan;238(1):204-9. 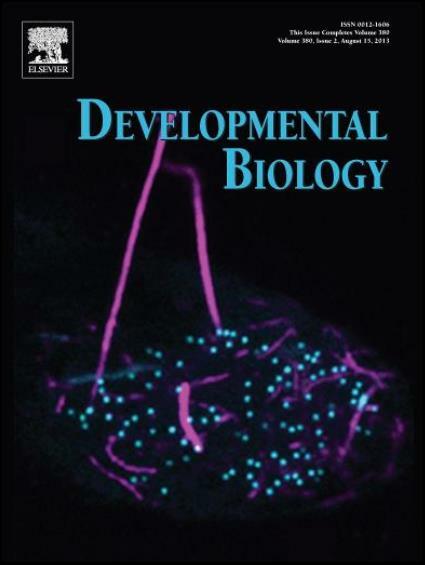 Demetriou MC, Stylianou P, Andreou M, Yiannikouri O, Tsaprailis G, Cress AE, Skourides P.Spatially and temporally regulated alpha6 integrin cleavage during Xenopus laevis development. Biochem Biophys Res Commun. 2007 Dec 18. Dubertret B, Skourides P, Norris DJ, Noireaux V, Brivanlou AH, Libchaber A.In vivo imaging of quantum dots encapsulated in phospholipid micelles. Science. 2002 Nov 29;298(5599):1759-62. Skourides P, Perera SA, Ren R.Polarized distribution of Bcr-Abl in migrating myeloid cells and co-localization of Bcr-Abl and its target proteins. Oncogene. 1999 Feb 4;18(5):1165-76. The goal of our research group is to understand the cellular and molecular mechanisms involved in generating the three dimensional organization of tissues and the overall process by which the basic body plan of vertebrate embryos is established. During gastrulation cell and tissue movements on a massive scale create great complexity from a very simple starting form, resulting in highly diversified organisms with a precise three dimensional architecture.Elucidating the mechanisms underlying these movements is important, because genetic mutations and environmental insults during gastrulation can lead to significant developmental deformities. A comprehensive understanding of this process and how it is affected by genetic mutations will help develop diagnostic and therapeutic tools for dealing with human developmental disorders. The study of gastrulation and morphogenetic movements has always demanded cutting edge imaging and the pace of discovery in the field has been set by advances in imaging technologies. The complexity of morphogenetic movements together with our inability to image them in vivo has forced researchers to study each movement isolated from the others. Yet if we are to truly comprehend the way morphogenetic movements give rise to form we need to begin the process of integrating what we know back to the embryo and view gastrulation as a unified process rather than individual components. Our laboratory with the use of nanotechnology and specifically the application of Quantum Dot nanocrystals is developing new imaging methods and technologies which enable the study of morphogenesis at the organismal, cellular and molecular level in vivo. In addition we are exploring the development of new types of nanocrystals and a number of wide ranging applications for Quantum Dots in Biology. Antoniades I, Stylianou P, Christodoulou N, Skourides PA., Addressing the Functional Determinants of FAK during Ciliogenesis in Multiciliated Cells.J Biol Chem. 2017 Jan 13;292(2):488-504.